My early life experience had taught me to take care of myself and family by preparing for the future. You see, my dad died after 4 days in a hospital and incurring over half a million bill. His Intensive Care Unit (ICU) confinement skyrocketed us into the pits of bankruptcy in just 4 days. Widowed at the age of 39, my mom was at loss on how to settle the hospital bills and how to go on rearing 4 children! Our family was dumbfounded then with circumstances that have changed overtime! It placed us in financial difficulties and future uncertainty. My 39-year old father succumbed to complications of a gunshot wound he sustained during a robbery-hold up incident. I can still recall those sad memories surrounding his untimely demise on March 29, 1987. I was angry at those who killed my dad, but can only pray for justice (elusive to this day). My youngest brother (then 4 years old) was clueless. I felt helpless, as we were all robbed of our future and of a father's love. Young as I was, I faced a crossroad-- should I continue on to college or grab the first job that would come my way after highschool graduation (which was a week after his interment). Thanks to his planning, we were able to start anew and go on with our lives. Proceeds fron my father's life insurance coverage helped in settling the bills. He made certain that the family he left behind will continue to have monetary back up in case of any untoward incident or death. At 16 years old, I have learned that an insurance offers a hedge against unforeseen events. It provides protection against hospitalization expenses, fire, or any disaster that may strike. Insurance coverages remove the money burdens and guarantee that the insured’s beneficiaries will be financially secured. In a world of uncertainties, having an insurance coverage helps ease unrelenting doubts on a family's future. 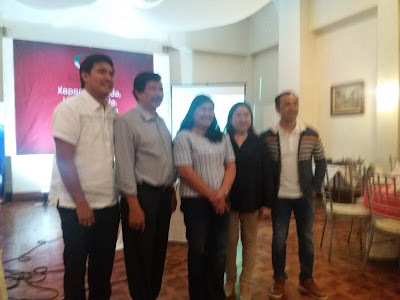 Now Country Bankers Life Insurance Corporations (CBLIC) held a Blog Con last February 12, 2019 at the Casino Español de Manila to reaffirm its commitment to its serve niche market as it turns 54. The CB Kalinga 4P’s Program provides a wide range of benefits for an annual amount of P150: Death (P5,000), Accidental Death and Permanent Disability (P15,000), Accidental Medical/Reimbursement (P2,000 max. ), Daily Confinement (P200/day max. of 30 days), Instant Abuloy (P500), and Fire and/or Lightning Assistance (P3,000). 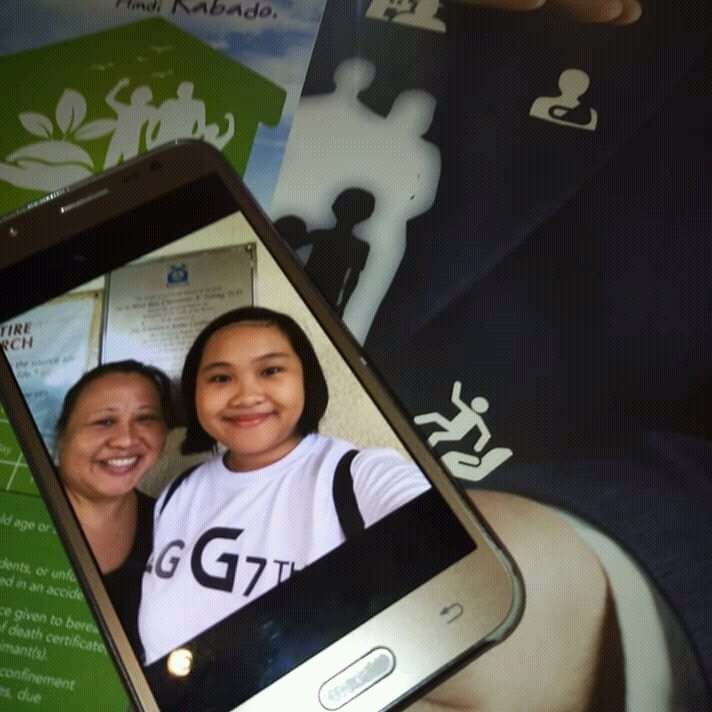 There is an option for a six-month coverage for the principal insurer available at P75. Country Bankers empowers people to prepare for life’s uncertainties so that they can look forward to a brighter future for themselves and their loved ones. 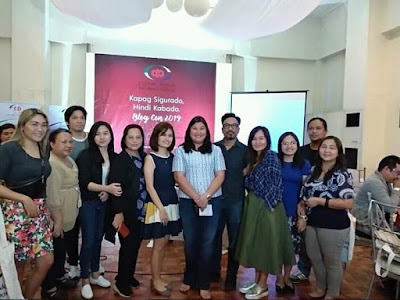 Reaffirming its commitment as a true ally to Filipino families, CBLIC, now on its 54th year, provides relevant and affordable products that clients can easily understand and appreciate. “We want to continue being known as the company with a heart that can be relied upon. Our products are simple, accessible and important,” says Geraldine Desiderio Garcia, senior vice president and general manager of CBLIC. Country Bankers insurance protection under the Classic Benefit Plans up to 96 years old payable in a 3, 5, 7 or 10 year period. Alay Sa Buhay only costs P 365 for a year for natural and accidental death benefits that are renewable for ages 13-70. For families and seniors, they have ASB Family which covers 3-5 people in your family up to 70 years old, then Php 1,000 for 71-80 years old. When you realize the cost of worrying on your energy and your family's future, it really makes sense to be covered. Having good insurance coverage provides you with an affordable way to get funds when you need it. Do visit Country Bankers at http://www.countrybankers.com to learn how it can safeguard you from loss and uncertainty. 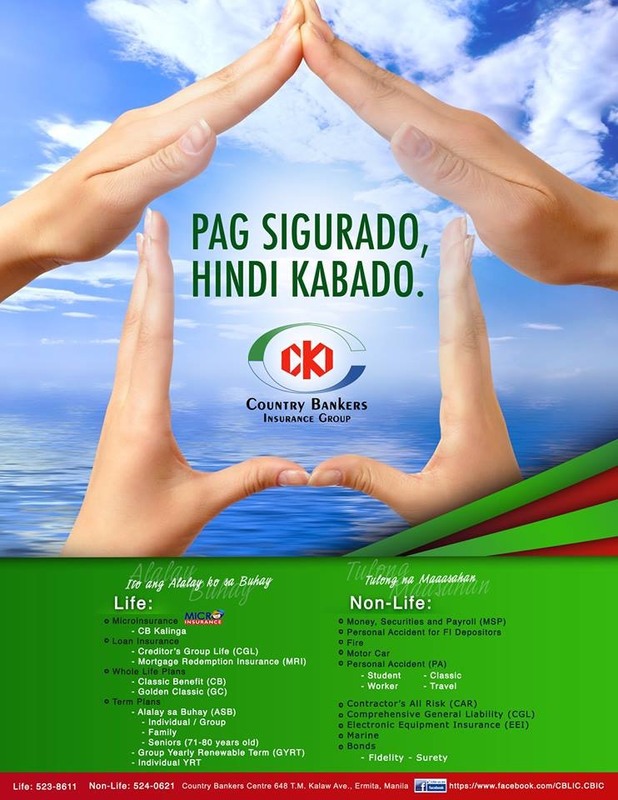 You may also follow Country Bankers’ FB Page https://www.facebook.com/CBLIC.CBIC for more information. Sad to read about your story and I agree, that person also robbed your future. If you are young, you won't care about insurance but it is really a must. 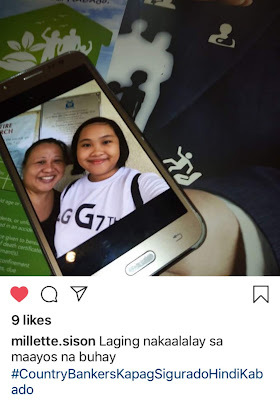 Mas okay nga kumuha habang bata pa, kaya kahit anak ko kinuhanan ko. It pays to invest in insurance coverages. I'm sorry to hear what happened. Will read more about this offer, affordable sya! Please do. You can secure your family's future by getting an affordable coverage. It was a painful experience. I do pray that I won't go through the same ever again. Thank you for sharing your story. It should be an eye opener to a lot of Filipino families who have yet to appreciate the value of life insurance. Yours was a tragic story but is really on-point, there's really no certainty in this life. Thanks for sharing this history of yours, really helps appreciate the value of insurance coverage. I was not aware of your story, I am sorry for your loss. It must have been a really difficult time for your mother and your family to lose your father at such a young age and in such a most fortunate way. Your story best illustrate the importance and significance of getting an insurance. It is good to know that those who do not earn much can still afford to get an insurance for themselves and their families with this product. Kudos to this brand for being faithful to their Filipino clientele. I've read a lot about this insurance and it's nice to know na they have packages and programs na affordable talaga. Saved this so I could go back and check out my options. Sorry to hear about what happened to your dad. Hugs! I am a believer of insurance, too, that's why my family is covered. I got this from my grandparents pa. I went to university with my insurance coverage as allowance. I hope Filipinos will be more aware of its benefits.